There is no question that distracted driving is playing a huge role in the number of auto accidents on Texas roads every year. While Texas has a law in place that prohibits texting while driving, there are, arguably, a number of loopholes, such as motorists still being able to engage in other distracted activities, like typing into navigation apps and adjusting the stereo, are still completely legal. These loopholes essentially make it impossible to enforce the texting ban. Add in that Texas remains one of the most lenient states in general when it comes to driving and phone use—where some localities even try to undo the ban on phone use in general while driving, only allowing citations to be upheld if adult drivers used cell phones in school zones—and you have a recipe for injuries and medical expenses to arise out of a number of auto accident each year. According to Zebra’s 2018 Distracted Driving Report, for the first time ever, auto insurance companies are penalizing drivers who have been found texting or otherwise using their cell phones while driving; specifically, the average insurance-related penalty is up nearly 8000 percent just over the last eight years, and it costs people thousands per year. Those hardest hit by rising auto insurance rates in Texas? Women. Women over the age of 25—especially those between age 40 and 60—pay more than men for auto insurance, even where all other rating criteria is the same. 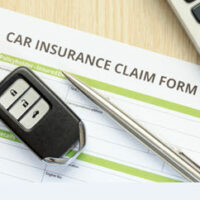 While it is difficult to obtain a straight answer from the insurance providers as to why this is the case, according to the Consumer Federation of America, it is likely because women are often charged more on a national scale. Without any real distracted driving laws in Texas, it is important that you know the difference between different types of insurance coverage and always ensure that you have the most comprehensive coverage possible. In Texas, as in other states, personal injury protection (PIP) coverage not only covers any medical expenses that you have incurred as a result of an accident, but also coverage (80 percent) for any wages you have lost as a result of those injuries and any additional non-medical or work related losses, such as the cost of hiring a caregiver and death benefits. PIP covers you, family members, other passengers in your car, and anyone else who was injured in the accident. Under Texas law, insurance companies must offer PIP ($2,500). Medical Payments Coverage (“Med-Pay”), on the other hand, only covers the cost of your medical expenses and the medical expenses for anyone who was a passenger in your vehicle and/or who was otherwise injured at the time of the accident, as well as funeral expenses resulting from the accident. If you have been in an accident, it is imperative that you work with an experienced auto accident attorney in order to ensure that your case is handled fairly. From poor enforcement of existing texting laws, to potential gender discrimination when it comes to insurance companies, all that you should have to worry about after your accident is that justice is done and you are compensated for what you need in order to move on. Allow an attorney to look out for and ensure that justice is done on everything else. Contact our Houston auto accident attorneys at The West Law Office today to find out more.